The Brisbane Lions showed they will be a force to be reckoned with under new coach Craig Brittain by beating premiership contenders Morningside by 15 points in a tough battle at Esplen Oval yesterday. Brittain, who took the Lions to their only QAFL premiership in 2001, is back at the helm after the club rotated their senior assistant coaches through the position for the past two years. The Lions showed plenty of grit to resist a third term surge by the Panthers and finish the game off the strongest, winning 14.11 (95)-11.14 (80). "I was more than happy with our first, second and fourth quarters, but in the third they got their hands on the ball first and put our defence under pressure," Brittain said. "Our ability to cover the ground was not as good, although we rectified that in the last quarter. The Lions led by 17 points at halftime after an even first quarter, before the Panthers stormed back to take the lead at the final change courtesy of a five-goal-to-two third term. The Lions were forced to ruck young Tasmanian Aaron Cornelius and Scott Clouston in the absence of a recognized big man, and they gave wholehearted performances. Morningside gun Jacob Gough nonetheless won the bulk of the knockouts to give small men Mark Rootsey, Hayden Wilson and Paul Shelton first use. Rootsey proved a constant thorn in the side of the Lions, reveling in the boggy conditions, and his four goals combined with a strong midfield presence was an outstanding effort. 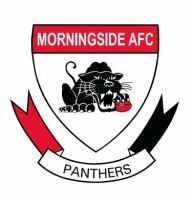 The Panthers were hampered for most of the day by a strong Lions defence, with Jason Roe doing a top job opposed to Kent Abey, and the top-up players putting their bodies on the line for the team. "We had a lot of good contributors," Brittain admitted. 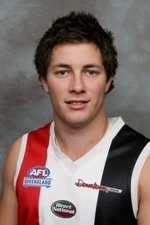 Lachlan Henderson provided a strong target at centre-half-forward and Tim Notting ran himself to the point of exhaustion right through the decisive last quarter. "Notting's workrate was a credit to him," Brittain said. With the Lions fielding a large complement of listed players, the Panthers were tested to the limit and showed they will remain a force in the competition. Matt Pardew celebrated his first premiership match in almost two years after a badly broken leg with a strong display, while youngster Alastair Nash was also prominent and could develop into a key player this season. Ever reliable veteran Nick Clark, one of the stars of the Panthers' 2008 finals campaign, was rock solid in defence.